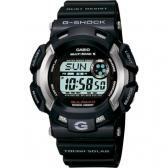 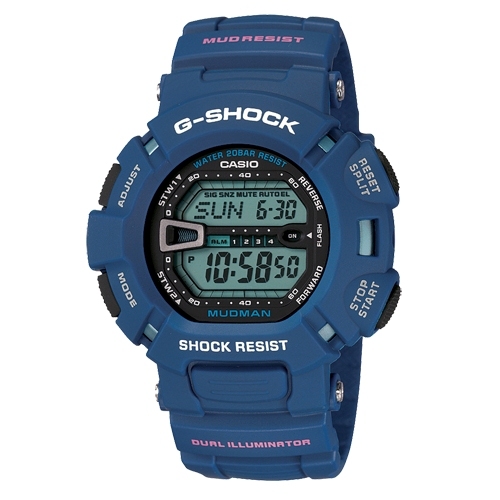 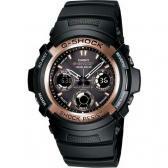 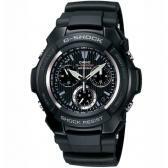 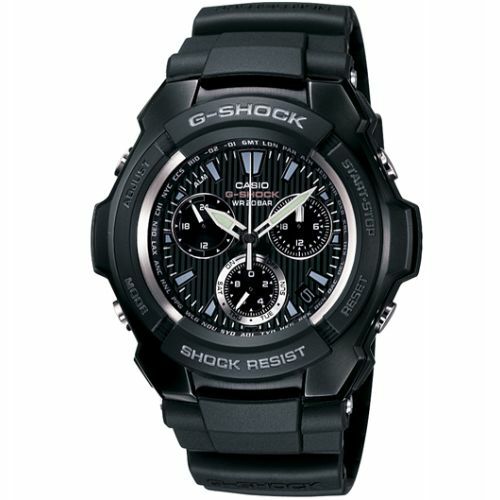 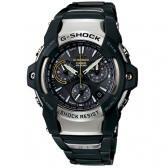 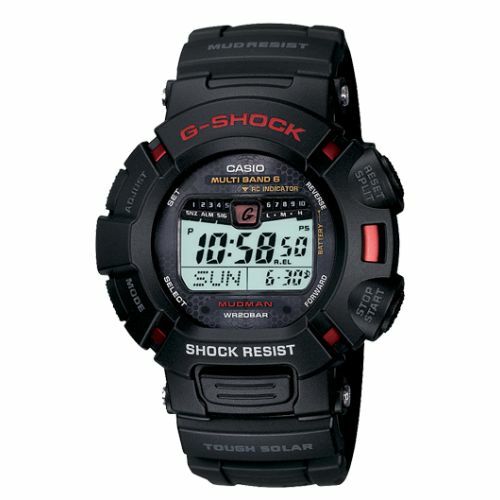 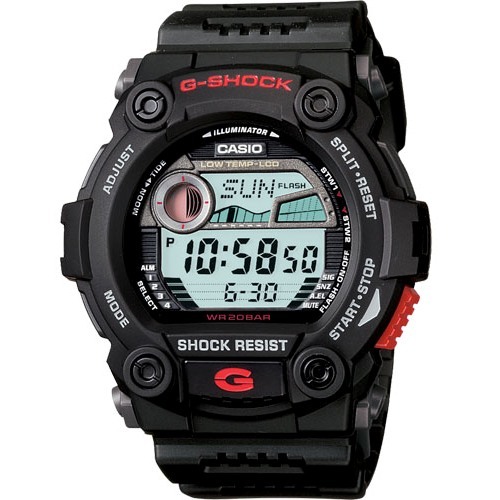 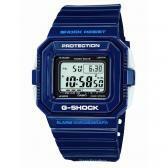 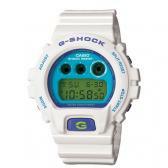 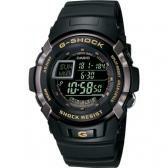 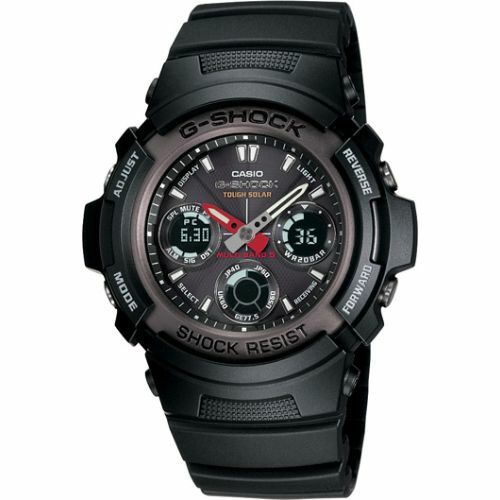 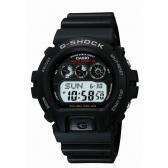 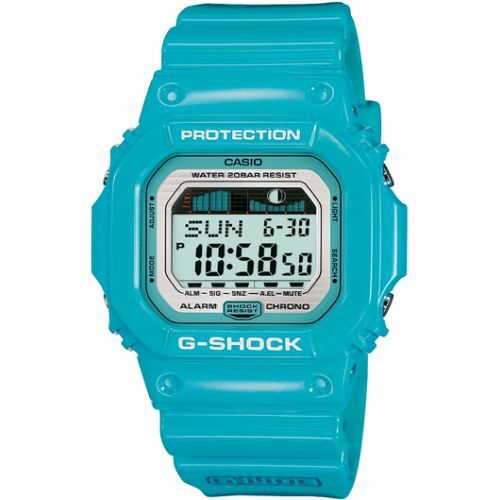 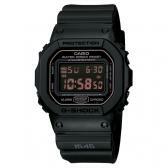 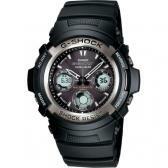 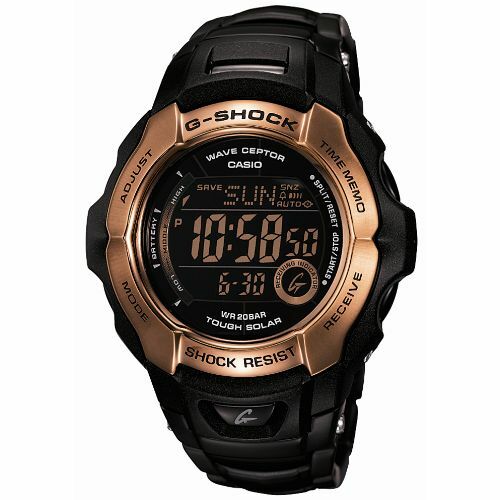 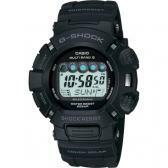 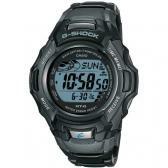 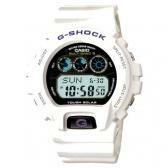 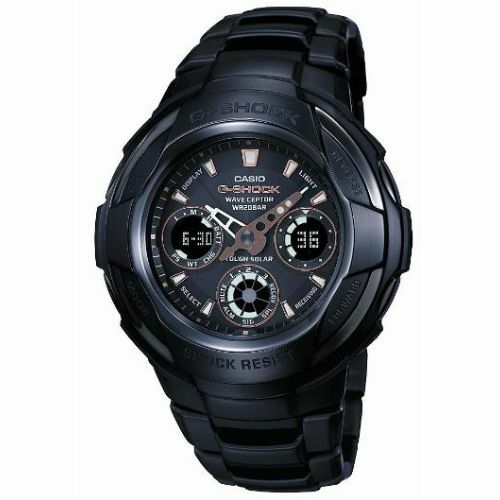 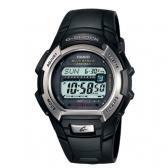 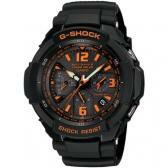 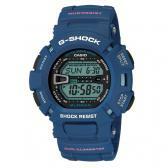 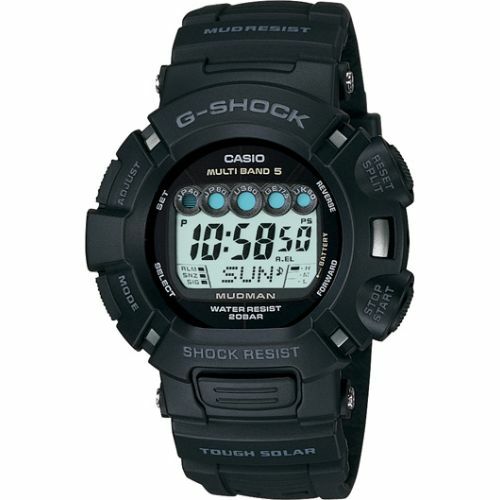 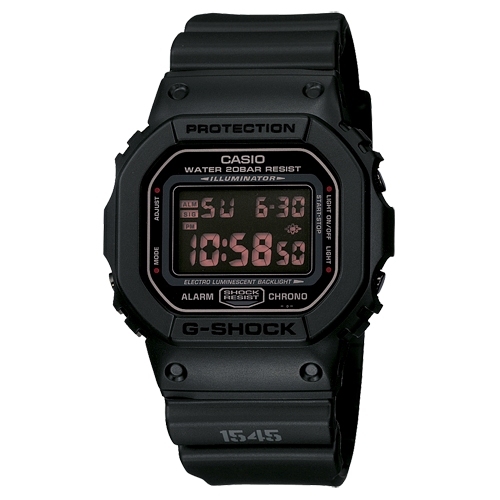 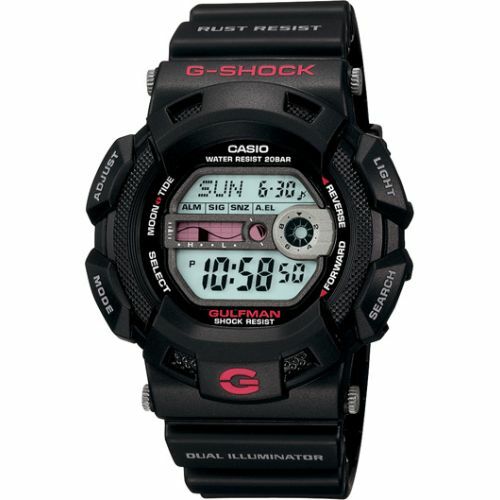 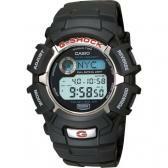 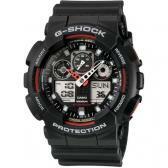 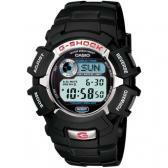 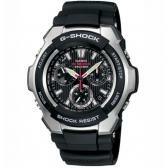 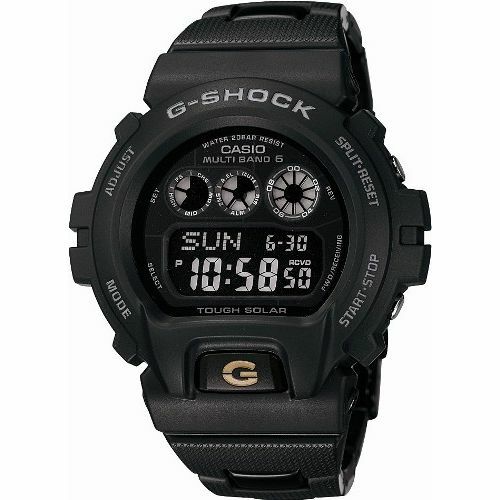 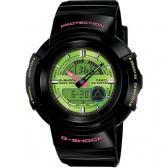 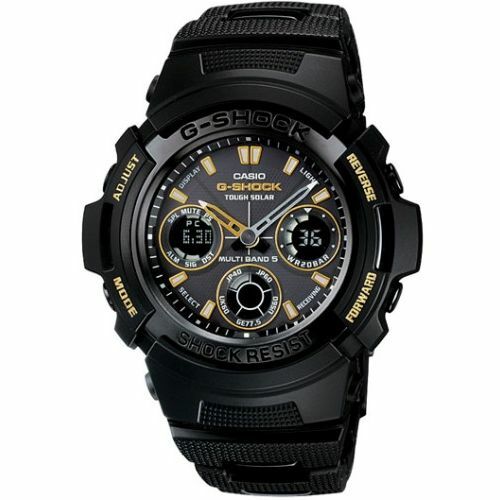 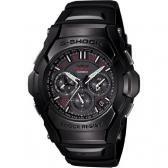 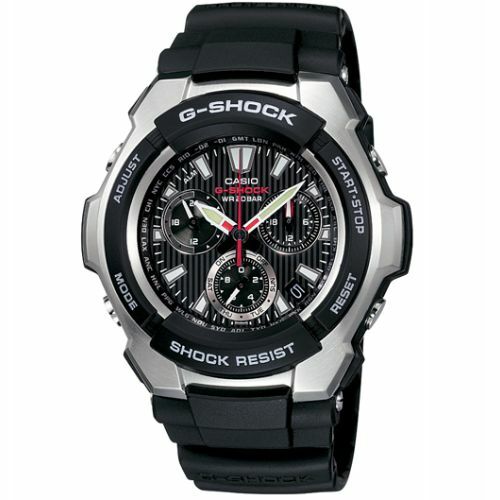 Discover a technological breakthrough with the Casio G-Shock Watch. 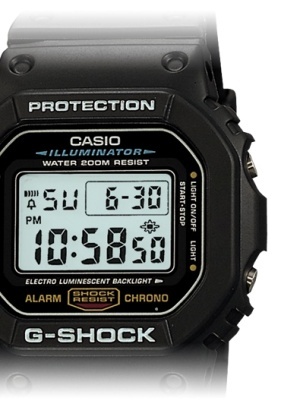 In developing its own wristwatch Casio began with the basic question, "What is a wristwatch?" Rather than simply making a digital version of the conventional mechanical watch, we thought that the ideal wristwatch should be something that shows all facets of time in a consistent way. 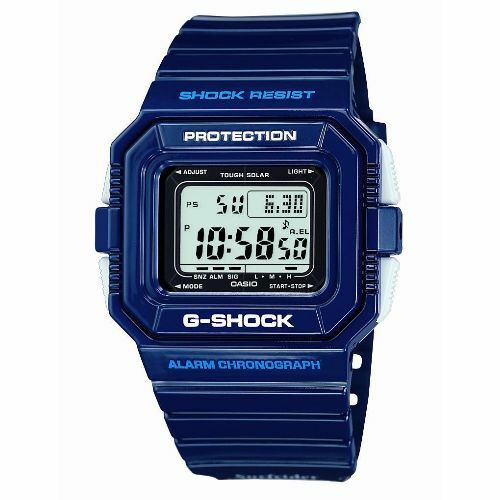 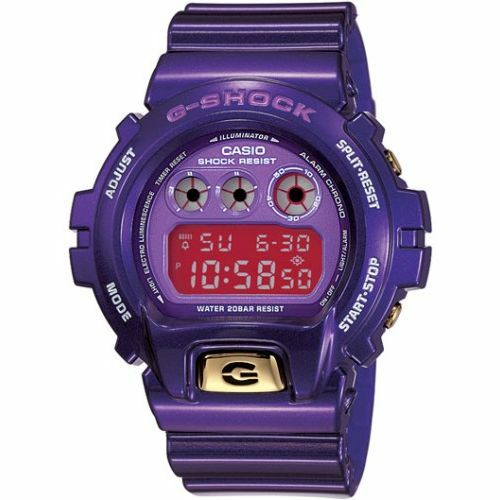 Based on this, Casio was able to create a watch that displayed the precise time including the second, minute, hour, day, and month - not to mention a.m. or p.m., and the day of the week. 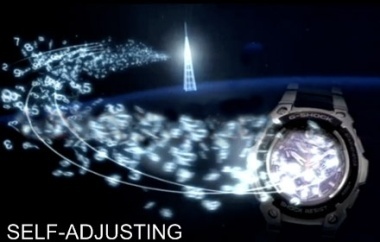 It was the first watch in the world with a digital automatic calendar function that eliminated the need to reset the calendar due to the variation in month length. 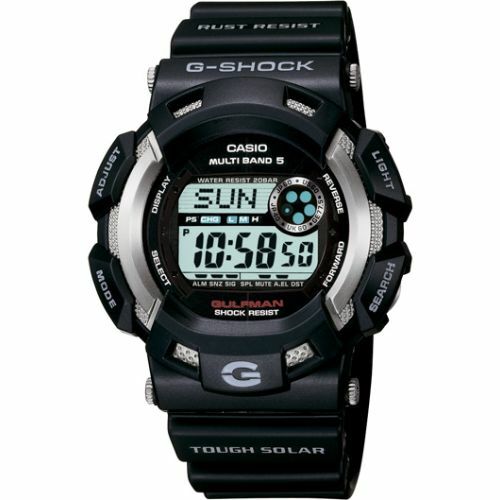 Rather than using a conventional watch face and hands, a digital liquid crystal display was adopted to better show all the information. 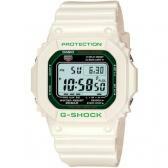 This culminated in the 1974 launch of the CASIOTRON, the worlds first digital watch with automatic calendar. 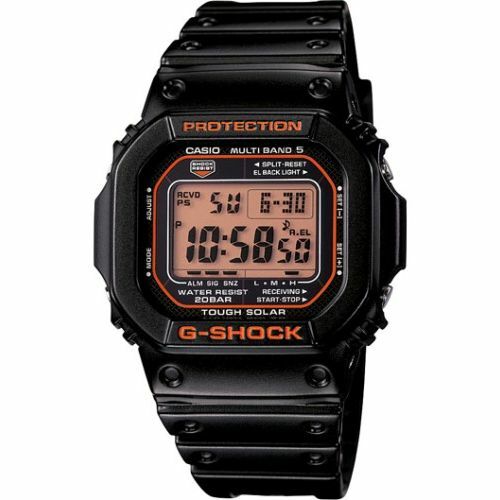 The CASIOTRON won acclaim as a groundbreaking product that represented a complete departure from the conventional wristwatch. 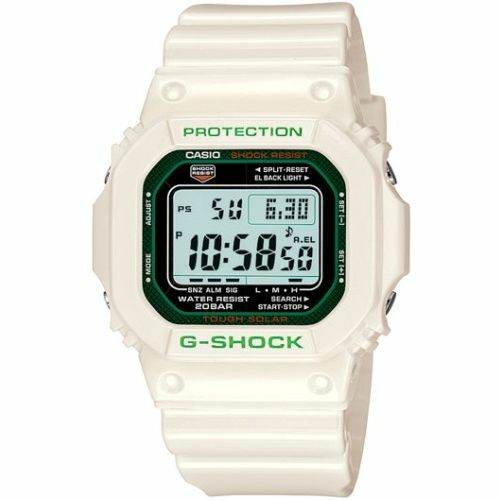 Square. 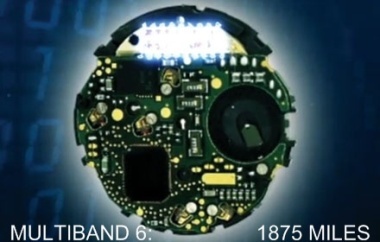 Round. 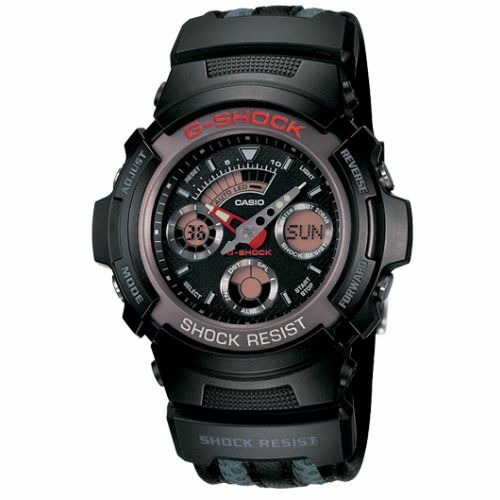 Whatever the case shape, G-Shock will always be shock-resistant design. 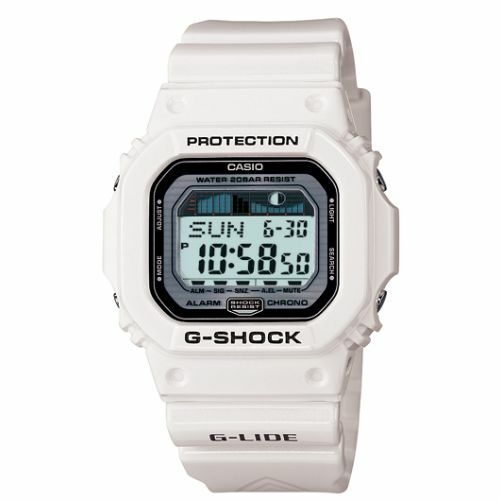 It's been that way since 1983. Our case shapes are designed in such a way to make sure that the buttons are never struck directly if the watch is dropped, no matter what the angle. Bands with a pre-curved shape act as a shock absorber to ensure that the back of the watch never receives a direct shock. 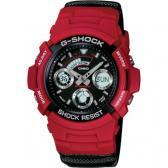 They also lend to a more agronomical fit. 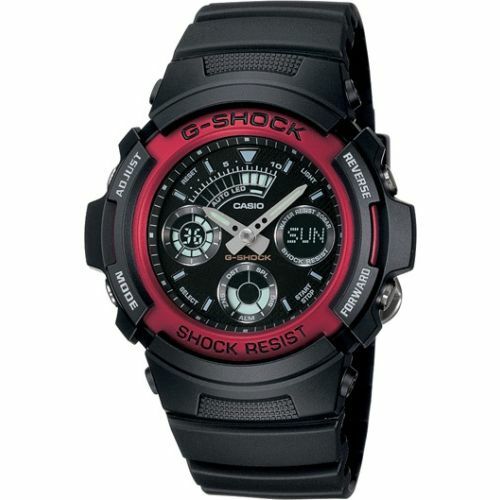 G-Shock watches employ intelligent, LSI-based electronic technologies to achieve unsurpassed precision and to provide a wide range of features and functions which no conventional mechanical watch can match. 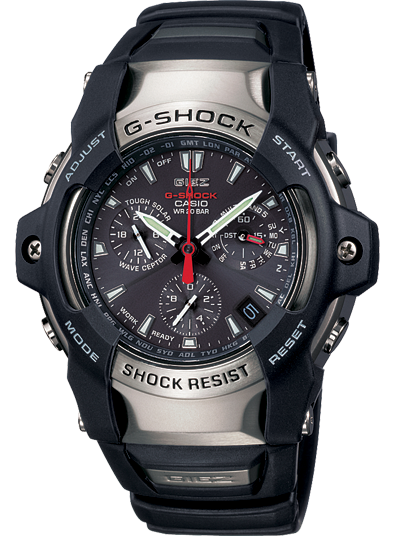 Case design takes into consideration the best balance stainless steel and urethane for strength, shock resistance and sophistication. Utilizing 6 screws to join its stainless steel case, bezel and band, the GIEZ lug design is reinforced at the connection points. 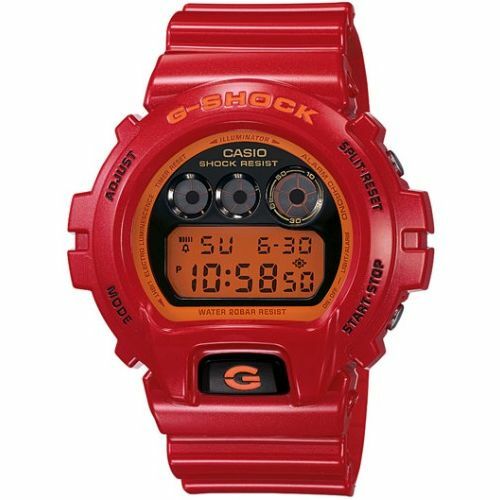 Through high level molding technology, a soft urethane band was developed to ensure a supple ergonomic fit while retaining strength. 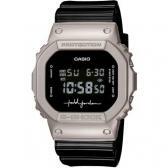 The band’s textured underside reduces skin-contact, for increased breathability. 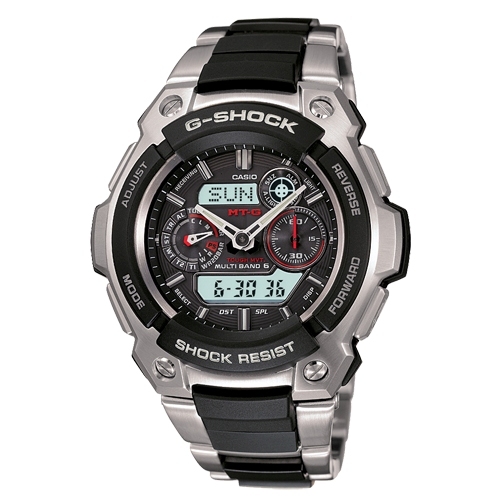 Utilizing a new 2 piece screw back construction, a full-metal, highly sensitive, Multi-Band 5 G-Shock was achieved, while retaining shock resistance and 200M WR. 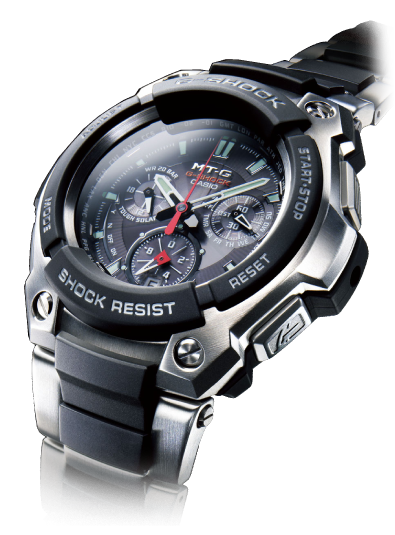 Lightweight aluminum hands are reinforced by a brass joining ring, that hold the hand precisely even under extreme impacts and vibrations. 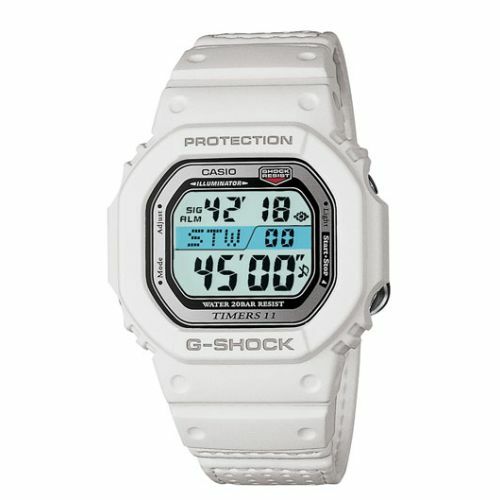 Distinct GIEZ embossed integrated into the band and buckle creates a unique branded design. 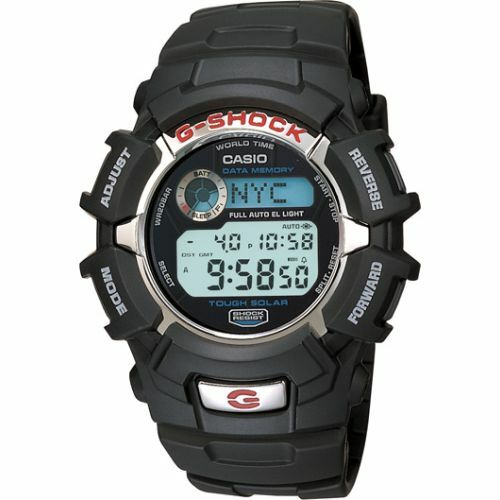 Over the years Casio has collaborated with many companies, events, or people creating truly unique digital watches that capture their essence. 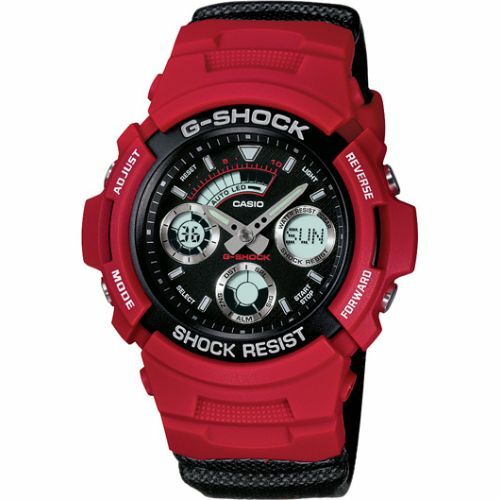 Combined with classics that we have resurrected for a limited time, creates G-Shock Limited. 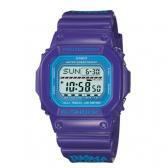 Limited Edition watches exclusively by Casio. Don't wait cause once they're gone, they're gone. An unrelenting red with smooth glossy finish makes the AW591RED-4A a combination of REDMAN's intensity and classic G-Shock style. 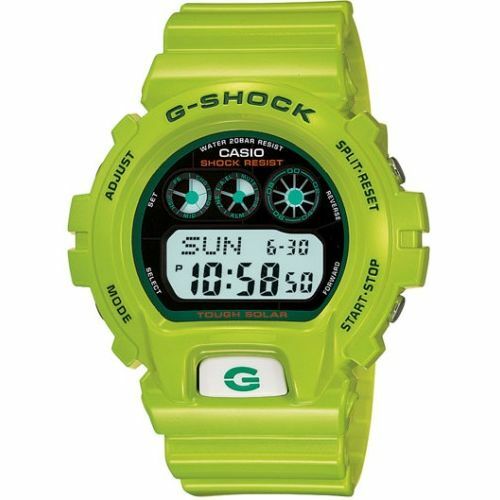 From the Ana-Digi family of G-Shock watches, the REDMAN X G-Shock features neo-brite luminous analog hands as well as digital timer and date windows. 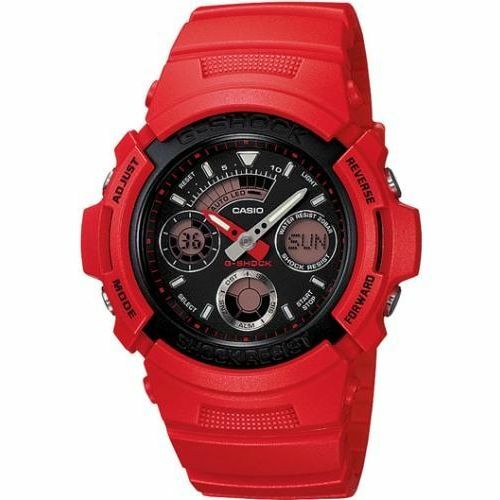 Complete with shock and water resistance to an incredible 200 meters, flash alert, multi-function alarm, countdown timer and stopwatch, the limited edition watch features a custom REDMAN engraved back case. 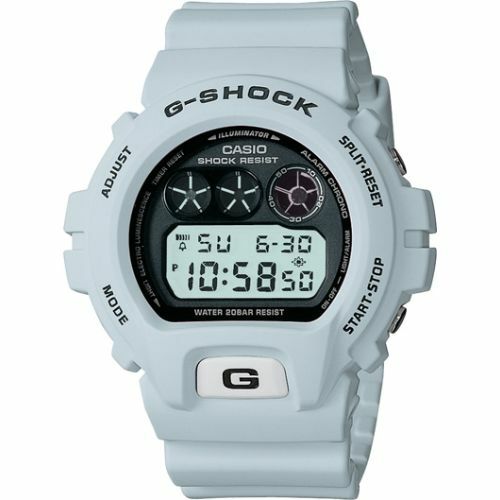 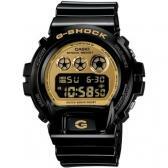 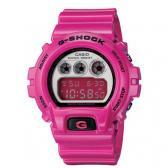 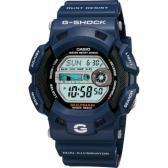 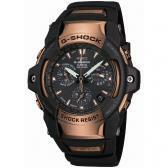 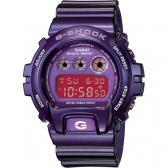 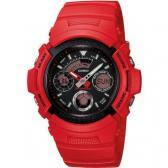 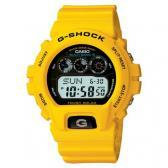 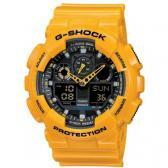 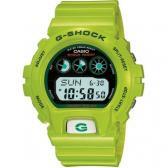 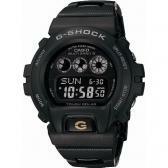 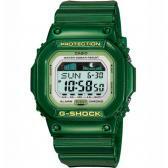 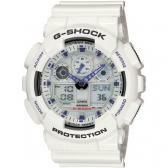 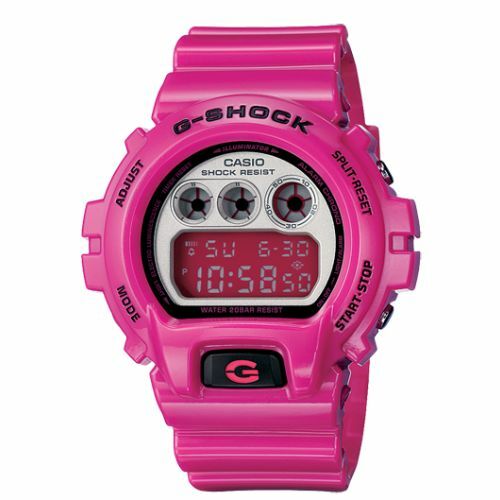 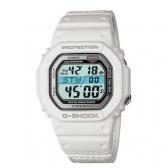 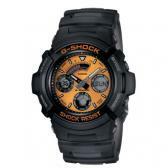 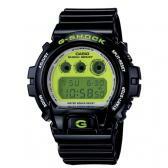 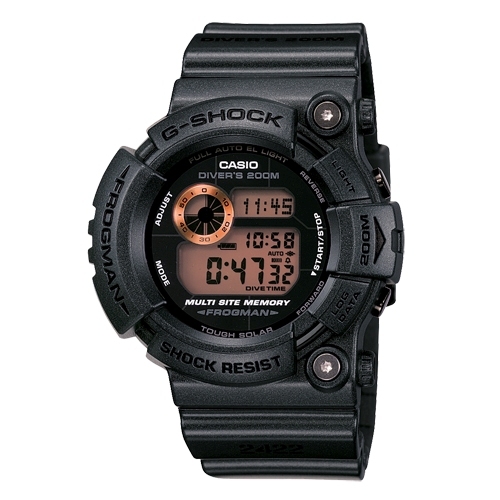 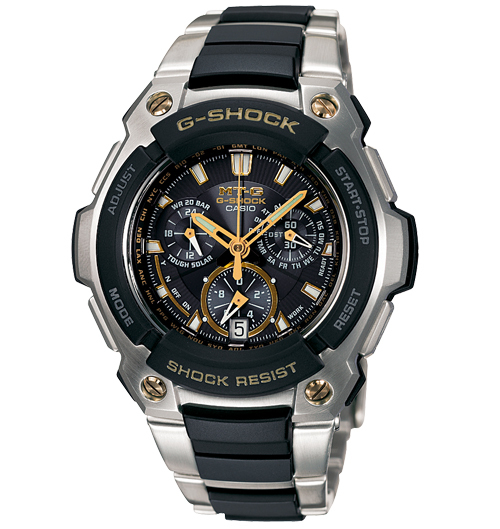 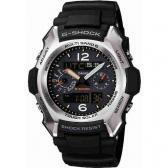 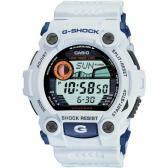 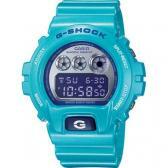 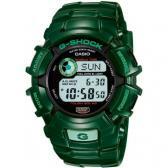 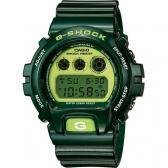 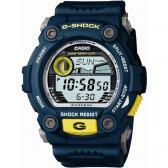 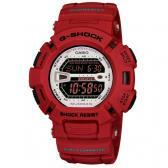 "G-Shock is tough and durable, but still raw to the core. 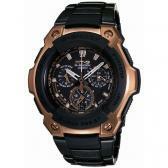 I wanted a model that I could wear on my wrist with confidence", said legendary rapper REDMAN. Casio G-Shock has partnered with world famous tattoo artist, car customizer, illustrator and designer, Mister Cartoon, to create the limited edition DW6900MRC-8. 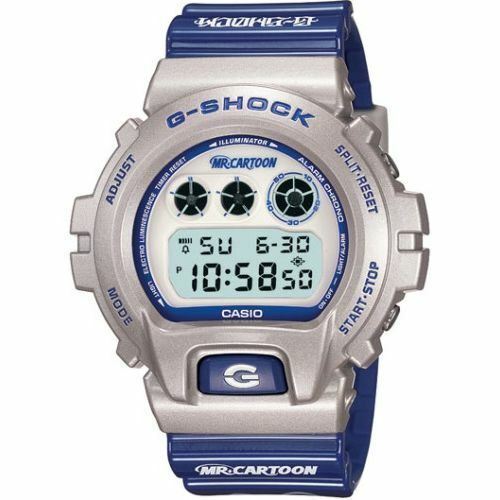 Combining the classic DW6900 with Mister Cartoon's unique artwork. 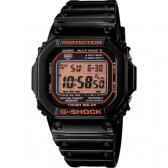 The DW6900MRC-8 comes complete with shock and water resistance to an incredible 200 meters, flash alert, multi-function alarm, countdown timer and stopwatch, the limited edition DW6900MRC-8 has the distinctive Mister Cartoon logo in EL Backlight as well as the engraved back case. 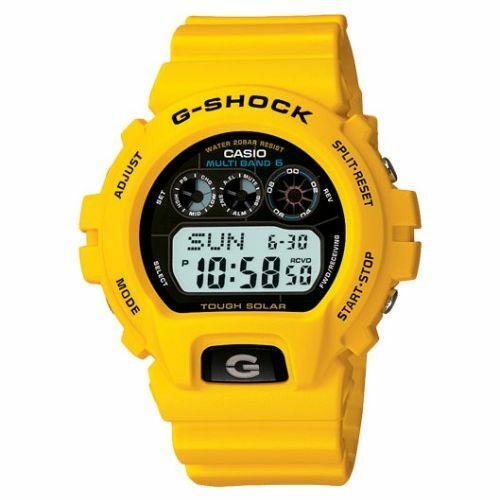 "I chose to collaborate with G-Shock because I have seen the evolution and the quality of the watch evolve into an iconic brand. 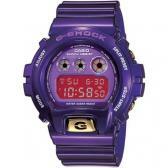 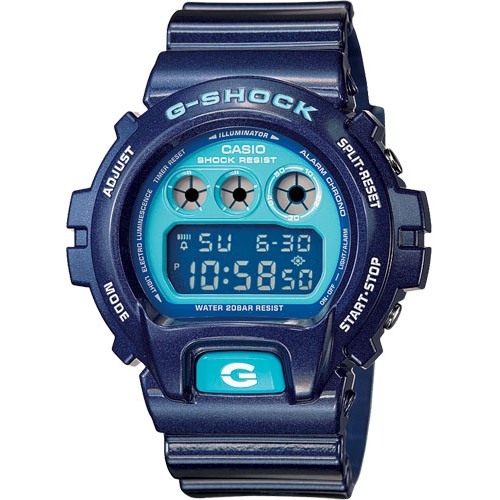 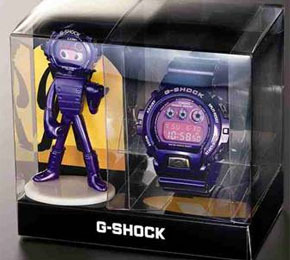 It never goes out of style, I like that G-Shock is interested in connecting technology, culture and art," said Mister Cartoon. 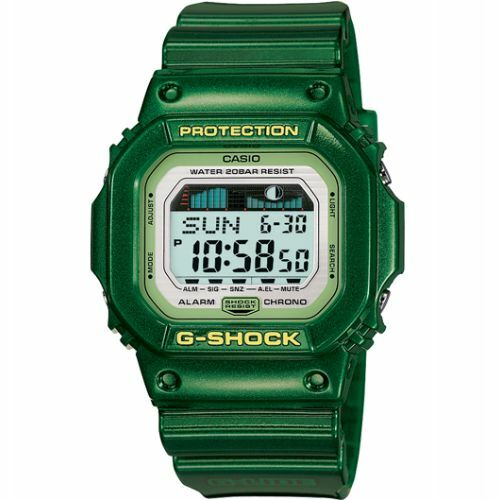 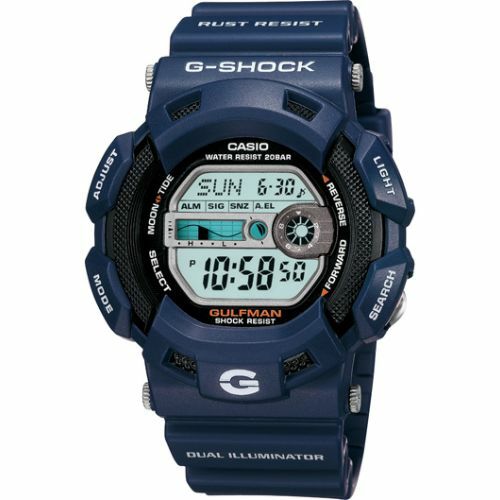 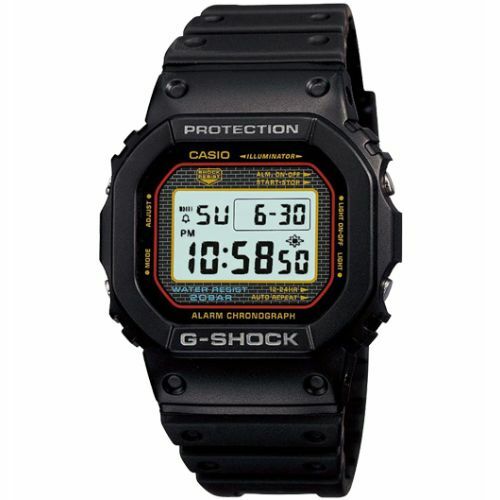 Todd Jordan x G-Shock collaboration (DW5600TOD-8) is based on the iconic DW5600, which is reminiscent of the very first G-Shock, the DW5000. 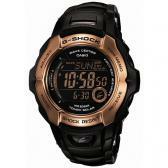 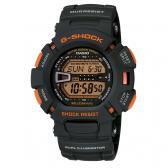 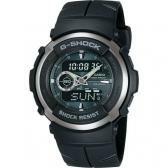 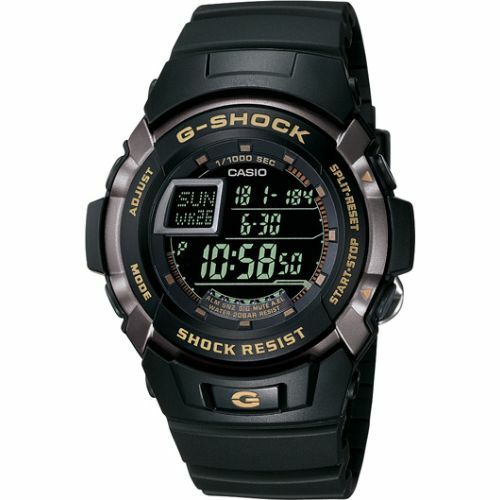 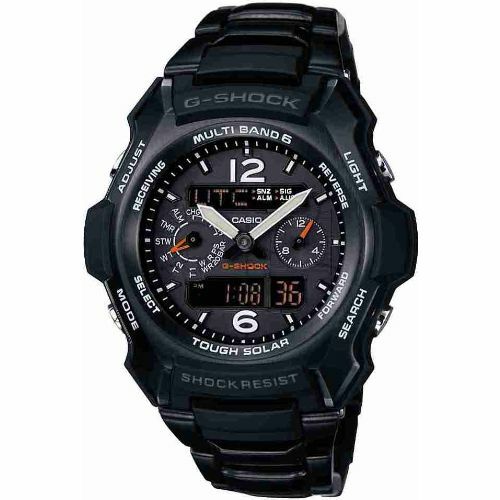 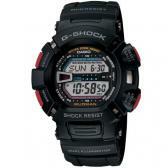 As with every G-Shock timepiece, performance and durability are the foundations of the DW5600TOD-8. 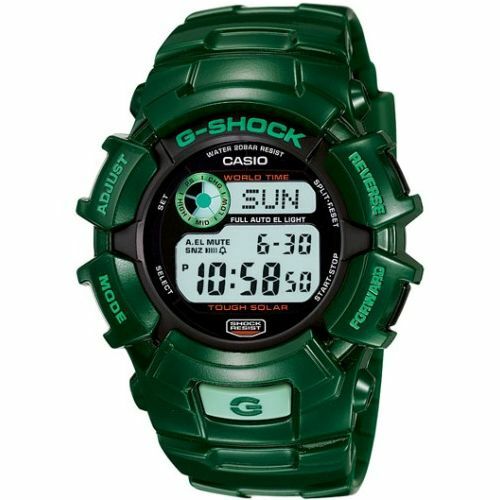 Additional features include shock and water resistance to an incredible 200 meters, flash alert, multi-function alarm, countdown timer and stopwatch. "I just wanted the DW5600TOD-8 to look simple. 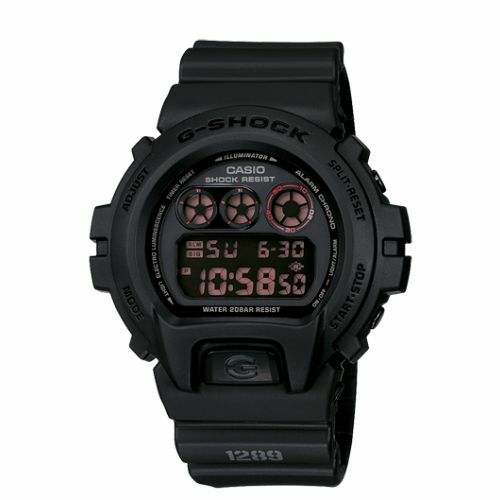 I'm simple and I like black. 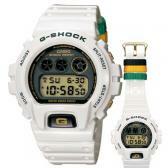 It's kind of homage to the legendary skater Harold Hunter," said Todd Jordan. The G-Shock RISEMAN is the world's first watch to feature the Multi-Band 6 Atomic Timekeeping Technology, which enables the watch to receive time calibration radio signals from up to six transmitters worldwide. For superior display accuracy, the signals are received up to six times a day. 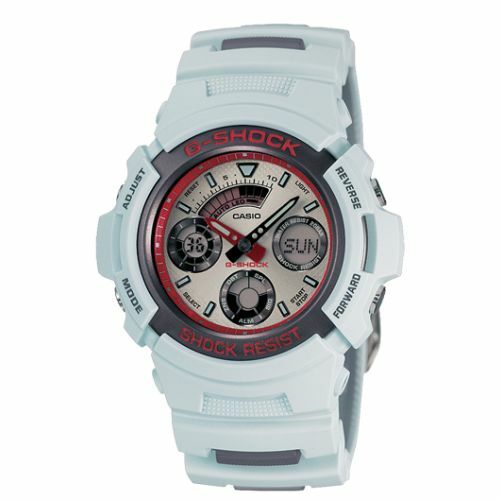 Inspired by those who challenge high altitudes, the RISEMAN features a shock resistant design while the barometric pressure, altitude, and temperature measurement capabilities of this watch make it a perfect choice for mountain bike downhill racing, backcountry skiing and snowboarding, and just about any other sport where the action can get fast and furious. 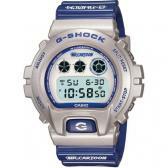 The altimeter mode has its own independent stopwatch, which can be used to keep track of altitude changes over time. In classic G-Shock fashion, the backcover of this model is imprinted with a dragon, since according to folklore, dragons are mystical rulers of weather. 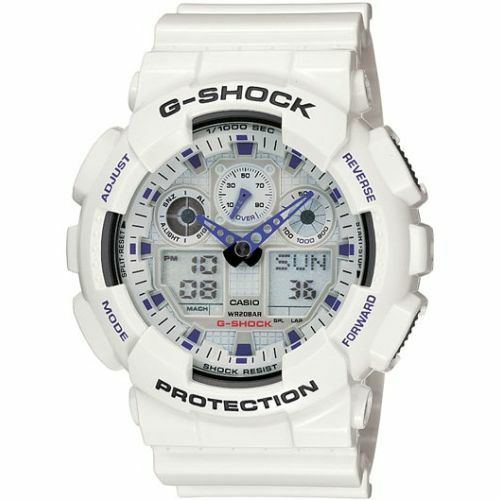 The crystal oscillator and other important parts inside the module are individually protected with cushioning material. 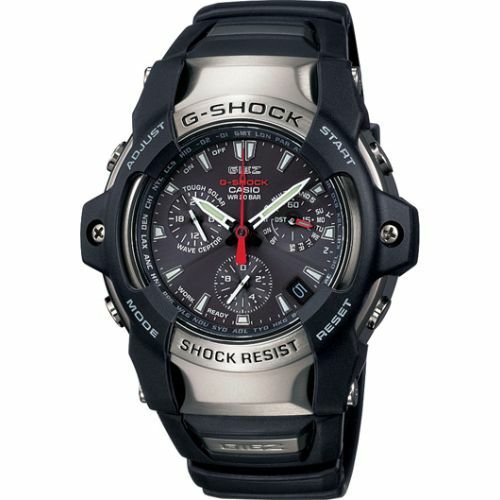 Individual cushioning prevents contact failures and improper operation due to distortions that could otherwise occur inside the module if the watch experienced a sudden strong impact. 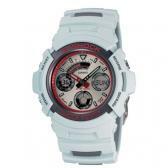 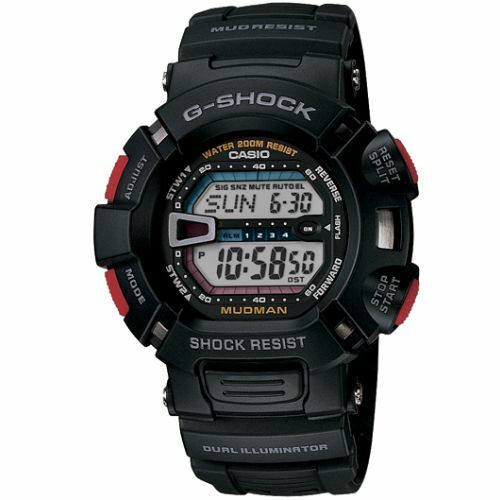 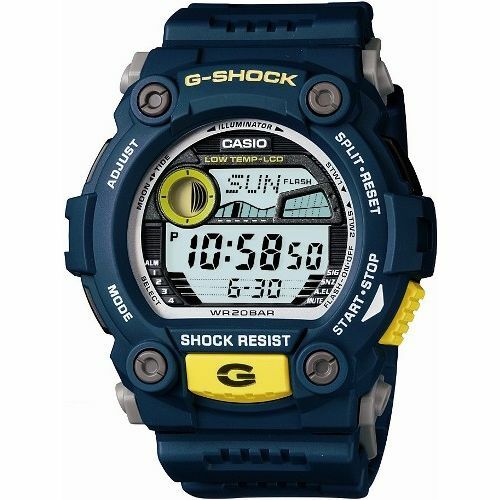 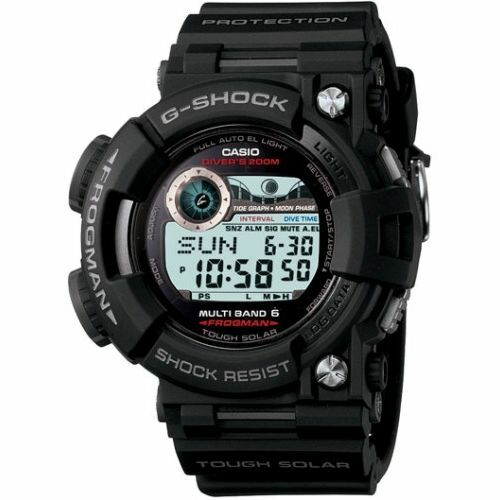 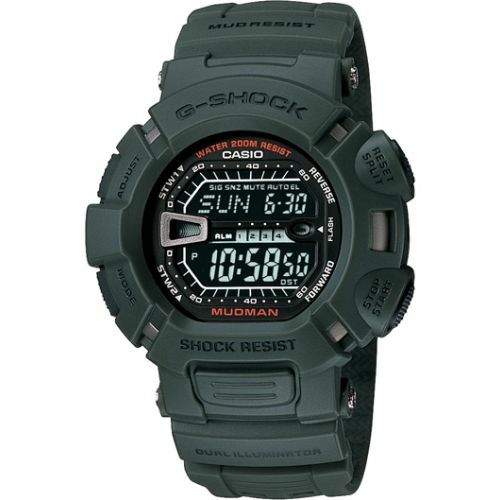 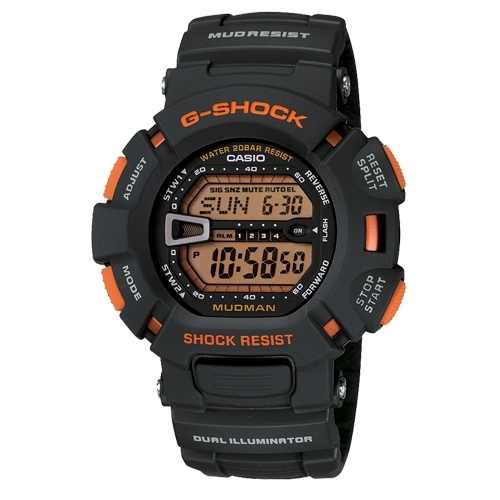 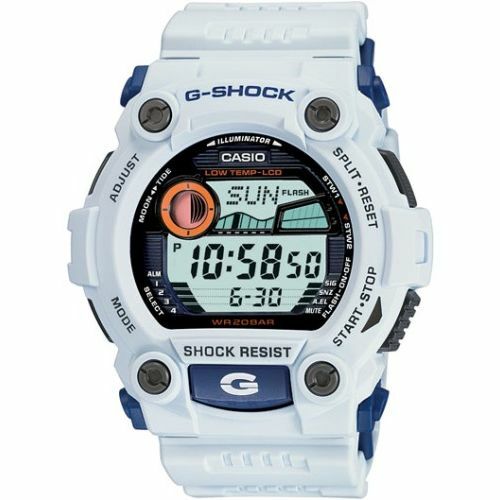 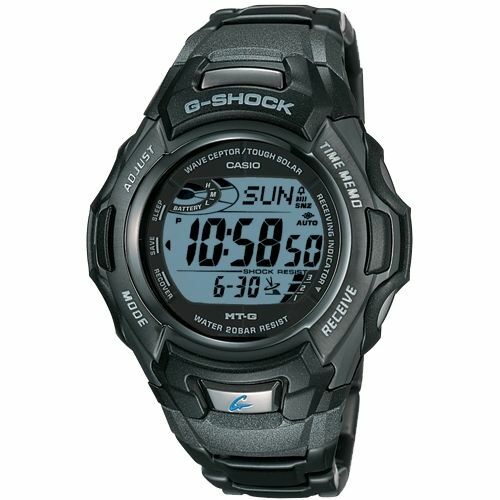 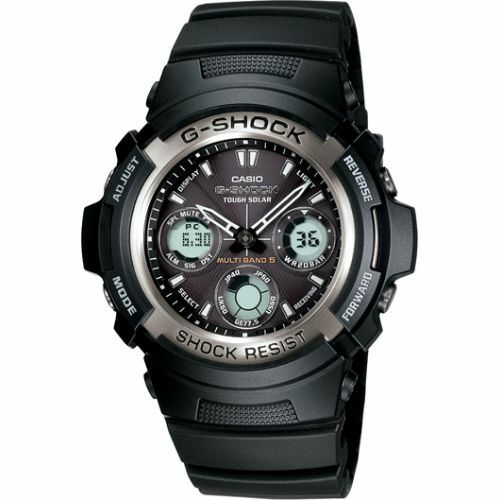 The G-Shock RISEMAN features a unique three-layer structured shock resistant twin sensor to measure altitude and barometric pressure as well as temperature. 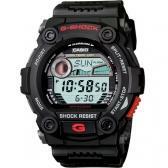 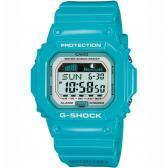 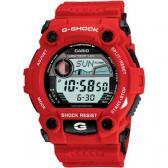 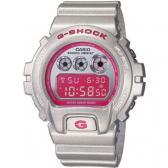 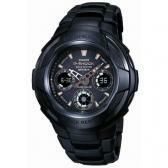 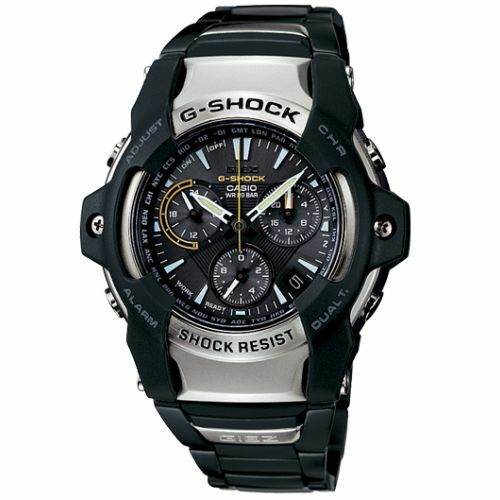 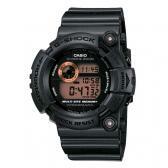 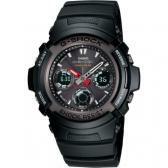 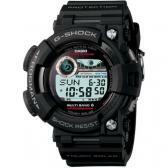 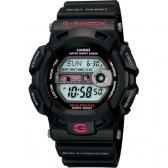 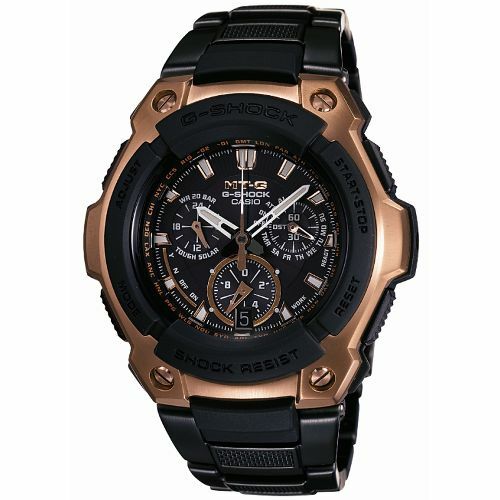 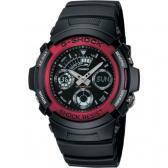 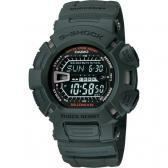 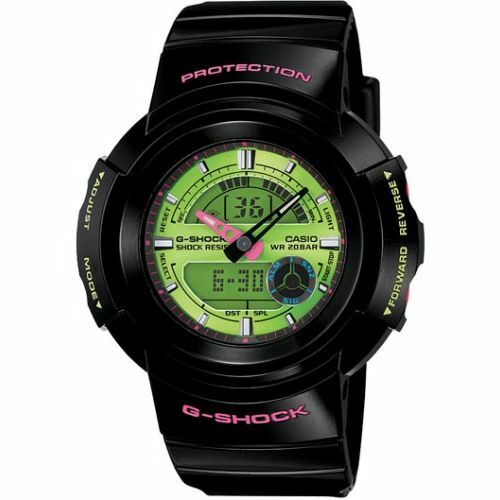 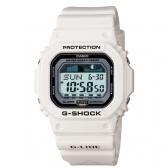 This is yet another example of G-Shock's constantly evolving toughness and technology. 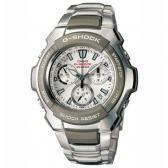 Stainless steel is known for its hardness and resin for its toughness. 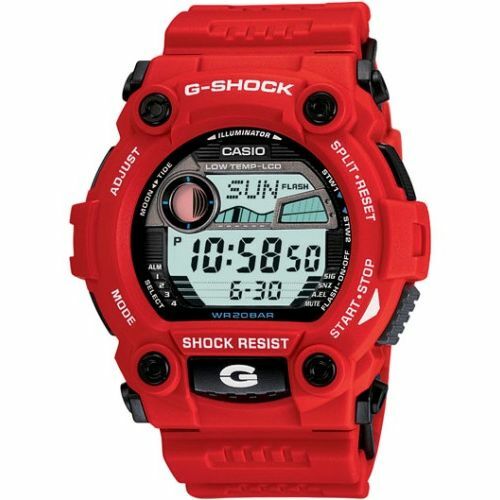 Taking advantage of both these characteristics enabled us to realize a design in which two completely different materials intertwine beautifully and unite with one another. 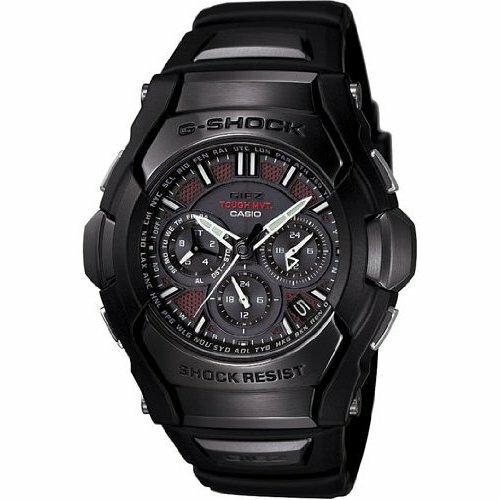 Forged modeling provides surface structure that makes the most of cutting work and polished finishing to realize a sharp-edged quality look. 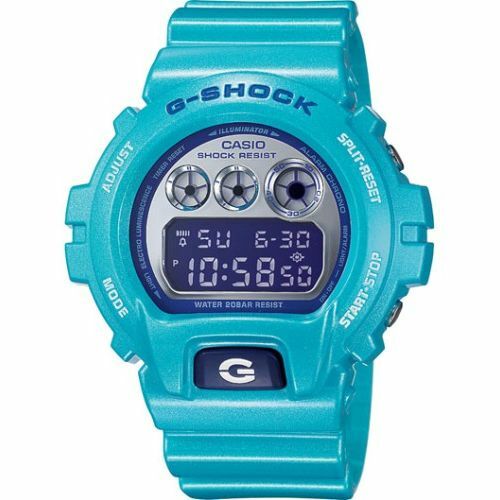 Dyeing treatment applied to the hands gives a shark look. 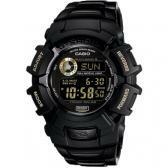 Radial concavo-convex shaping of the back surface of the solar dial ads to its expression of profundity. 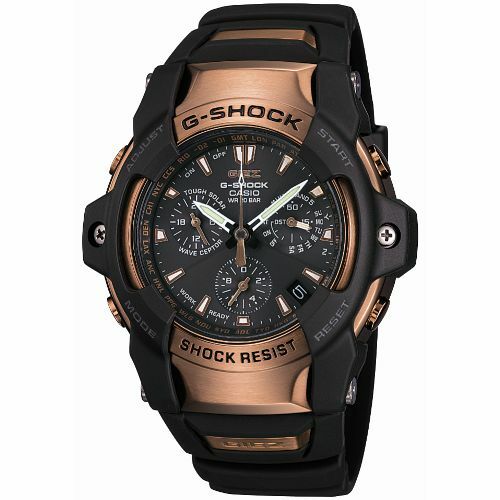 The buckle features a sharply defined, high-quality brand mark with etching processing applied and a urethane guard added to protect the mark. 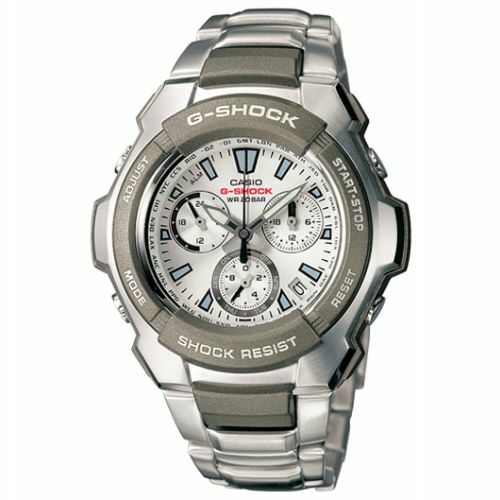 Four shaved-off screws grace the top surface of the bezel, and forged side bottoms with an engraved G-mark add further emphasis to the image of solidity. 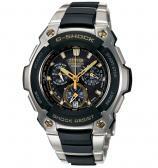 We focused on every aspect of every part in our commitment to the highest quality. 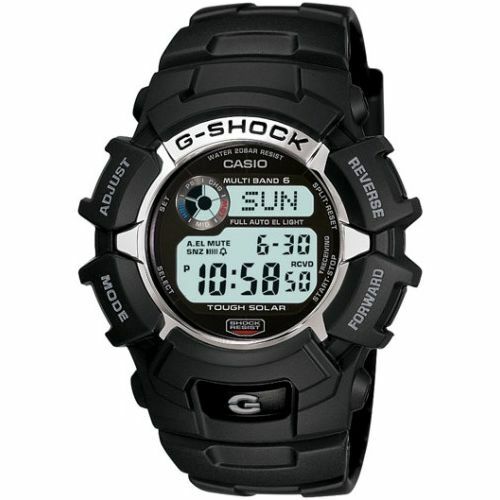 Receives time calibration signals and corrects the time automatically. 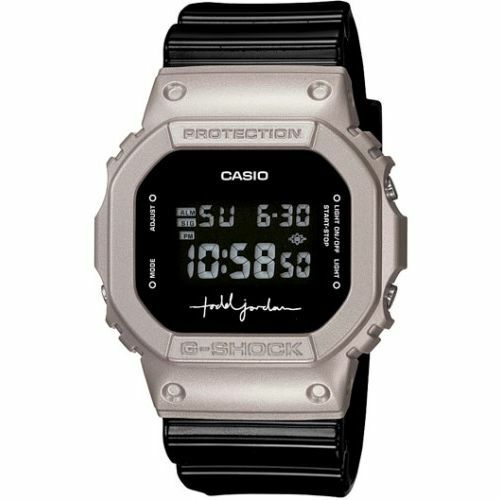 Casio watched with Wave Ceptor technology receive radio waves carrying American Standard Time data transmitted from Fort Collins, Colorado. 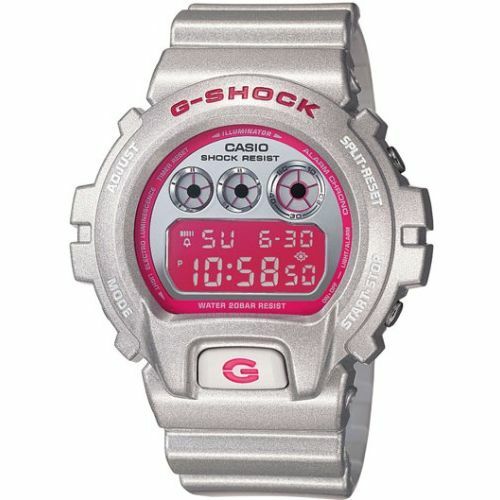 It then corrects the time automatically for one of four U.S. cities you pre-select depending on your time zone and displays the time. 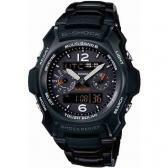 Correct time reception, self adjusting. 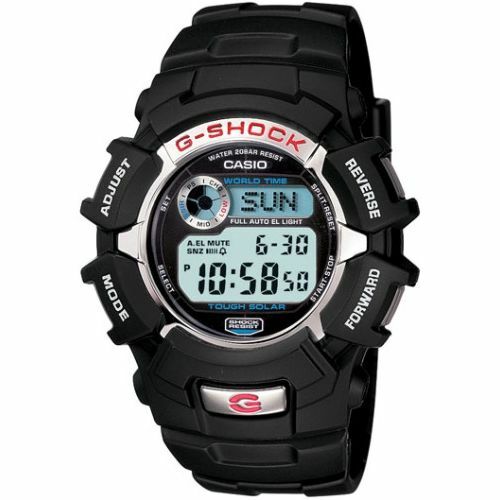 Compatibility with all six transmission stations worldwide: Multi Band 6 is the worlds first radio-controlled system built to receive time calibration signals from six transmission stations: two in Japan and one each in North America, the United Kingdom and Germany, plus the new station in China. 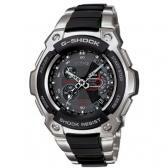 Miniaturized, shock-resistant, high-sensitivity amorphous antenna. 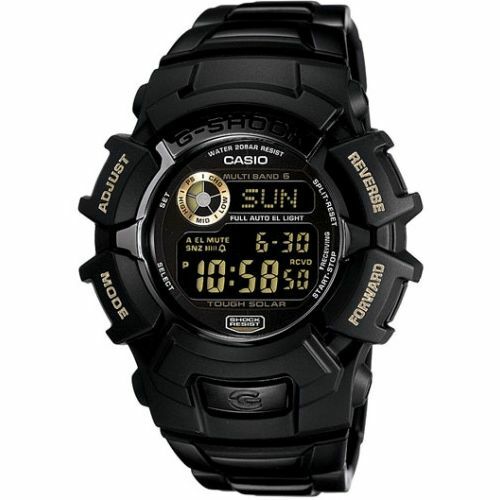 Casio watches with solar technology, receive thermal and electrical energy that recharges the watch batteries through solar panels on the face of the watch. 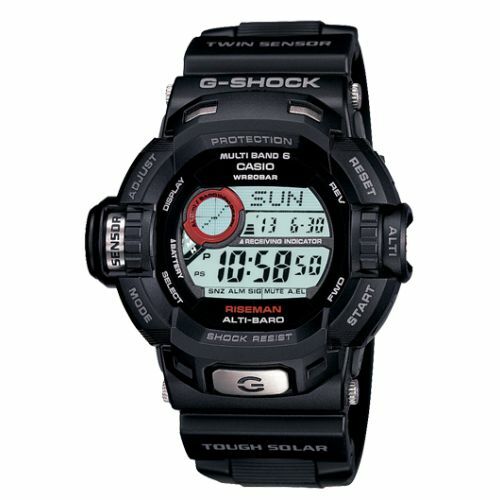 A solar panel converts even weak illumination from fluorescent lighting into electric power. 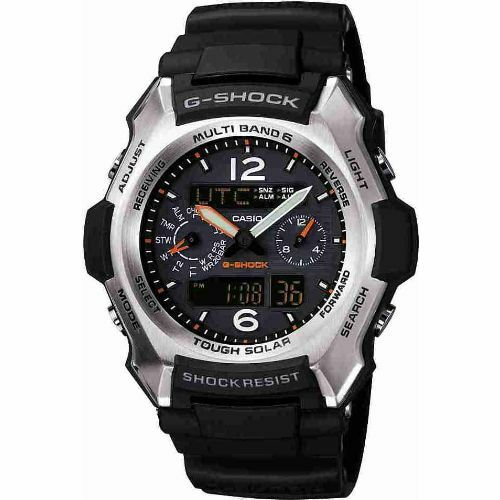 A rechargeable battery with a large power storage capacity supports stable operation of various functions with high electricity consumption. 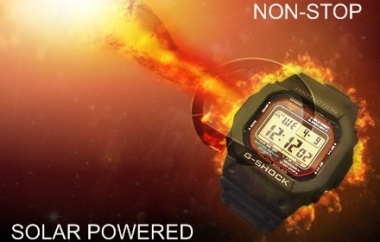 You never have to worry about the battery running down because it's a solar battery. 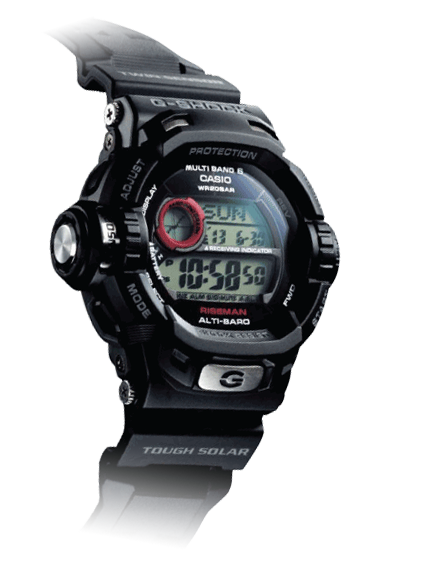 Digital display of various functions. 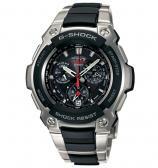 Multifunctional chronograph with 5-motor drive. 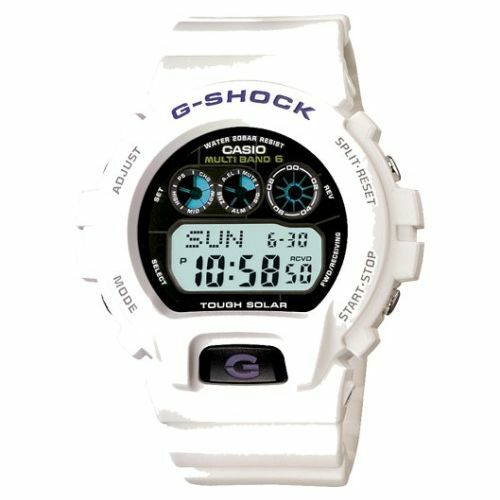 From full EL backlights that illuminate the display with just a tilt of the wrist by 40 degrees from the horizontal position and some sense light and dark automatically to bright LED lights. 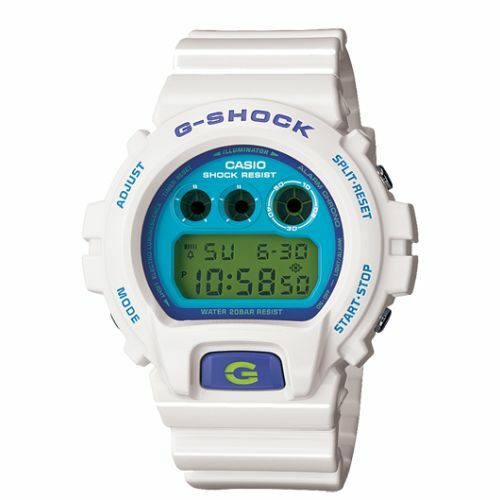 From alarms with a snooze function to countdown alarms. 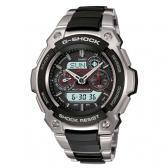 High-performance sensors that measure directions, altiitute and atmospheric pressure/temperature.